Electronics Costs > How Much Does an iPhone Charger Cost? How Much Does an iPhone Charger Cost? 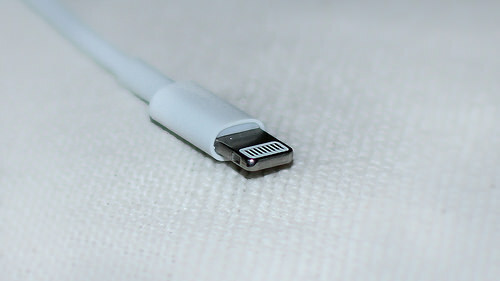 The Apple iPhone charger is an essential gadget used for charging the iPhone’s lithium-ion battery. Its battery is rechargeable, but as you know, it cannot last forever. If the iPhone’s battery is fully charged, it can last anywhere from 12 to 36 hours depending on how much the phone is being used, and the battery, as long as it’s well taken care of, lasts for up to 10 years, depending on your iPhone usage. The iPhone charger will come included with the purchase of the phone, but some people find it necessary to purchase a new one to keep in a different room in the home or to take one to work. NOTE: All of these prices came from either the official Apple store page or via the highest rated chargers on Amazon.com. At Walmart, the highest rated chargers range from as little as $5 for an Apple 1m lightning to USB cable to as much as $49 for a wireless charger. If your car does not have a USB port and you want to use a USB-only charger, a special car adapter will be needed. This can cost $10 to $30, depending on the brand. There are a variety of Apple iPhone chargers on the market, and each charger has different components. However, most of them come with an adapter and a USB cable. Aside from a charger that includes a USB cable, some can come in the form of an alarm clock or radio. The iPhone will dock on the device, charging while it is plugged in. If your charger is under warranty, do not be afraid to bring it into the Apple store. All that they ask is that you bring the defective charger in with you. Even if you do not have a receipt, they will be able to research your phone by looking up the serial number. If under warranty, you should be able to get a replacement at no cost. Turn on the auto-brightness feature, which will automatically adjust the phone to the amount of light in the room. The dimmer your screen, the longer the battery will last. The new iPhones have a subtle movement in the background; turn this feature off to save battery life. If you keep the Wi-Fi connection off unless you are using it, this will help extend the charge. Because the phone has a built-in GPS, this system is always running in the background. Turn this off unless you need it. The only sure way of saving money is by avoiding purchasing an authentic iPhone charger from the Apple store. Most of the chargers that are less than $15 can do just as good of a job, and as you can see from the table below, many of the highest rated chargers on Amazon.com can cost much less.